I had posted on the GlowForum.com's message board and I was told the glow is only bright for a few minutes, then fades to an "after-glow" which lasts for hours. I let the containers of paint charge on a window sill all day then brought them in at night. The glow was bright at first but faded quickly. 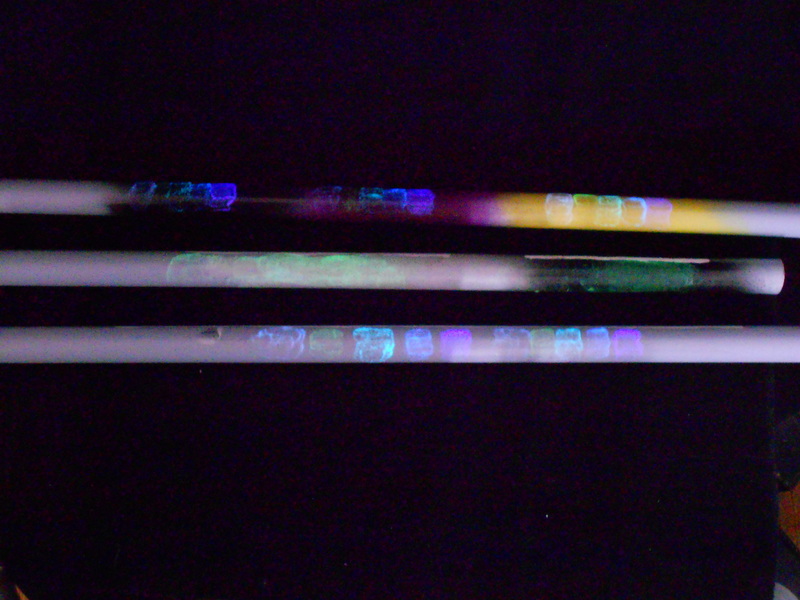 Indeed, after 5 hours, there was a visible glow although I wouldn't characterize the after-glow as "very visible". I can see how this would be very useful for marking things like camping equipment: things that will be used in an environment that is essentially pitch black. In absolute darkness, the glow would stand out. Glow Inc. also sells solvent based paint. Maybe you get better results with those. 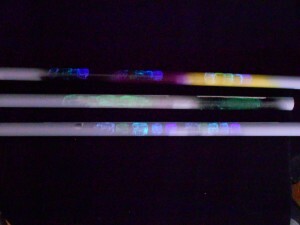 Check this page to find the right glow in the dark paint. I got the solvent based glow in the dark paint from a different company and the glow holds for a few hours. Given the astronomical prices, I'd like to see a similar analysis to what I did. I may buy the $26 1-ounce bottle of solvent-based paint to check myself, but I don't have my hopes up—chemicals are chemicals and I imagine there are a fairly small number of materials that glow that are also safe for use. Thanks for a more scientific review. I find that the Internet is so full of marketing BS, shilled reviews and lame attempts at visual deception that it cannot be relied on for accurate information. A shame really, since the Internet was originally created by scientists to share accurate, in-depth experimental data for scientific peer review. What it needs is more people, like you, willing to take the time to do more rigorous testing. QUESTION: I'm building a wheelchair ramp and I'd like to add a combo reflective and glow in the dark boarder to clearly indicate the ramp edges for safety reasons. Is there anything available these days that would actually be working 2 or 3 hours after sundown? Probably not. You'd be best off with some kind of electrical lighting—perhaps solar powered if a power source is an issue. But if the users of the ramp are willing to use headlamps (e.g. light sources close to their eyes, not like flashlights or area lighting) then reflective tape would work great. Well, quality retroreflective tape will work great; cheap shiny junk won't work much at all. ièm quite late but someone else might read this. montana spray paint "MTN 94 POltergeist" would works for 3-4hours at least but its hard to find, mostly graffiti shop. 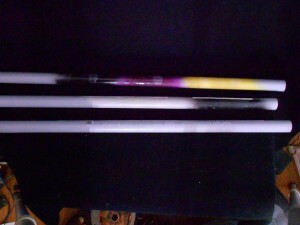 i've also use rustoleum glow max x2 and i've gotten real good result, for example on a maglite torch. the maglite was first primed with a withe flat primer then several thin coat of the paint were applied. Part of the problem I have with your review is that you did not follow the manufacturer's instructions for proper glow, nor does it seem that you even read Adobi's instructable. On the GlowInc website, it says that you need to apply a coating of at least 1/16th of an inch for the proper glow effect. 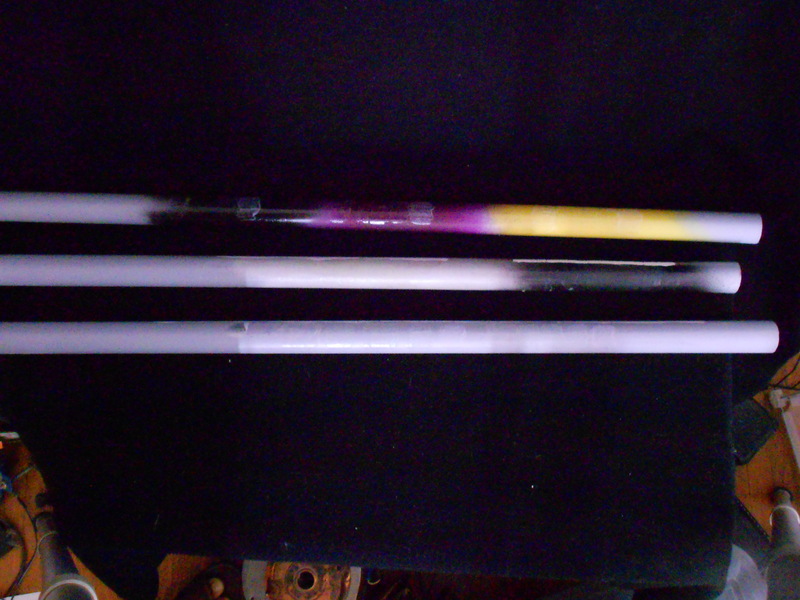 Adobi's instructable also states multiple times that the glow paint needs to go on thick in order to work. As well, a charge of dim sunlight for one hour probably did not properly charge the particles. It is a shame because I found their products to be quite effective when used properly.